Over the next month Sky Vegas is offering its members a number of rewards and bonuses for participating in its Road Trip promotions. Members will be invited to place specific games from Monday to Sunday each week in return for which they will receive points. 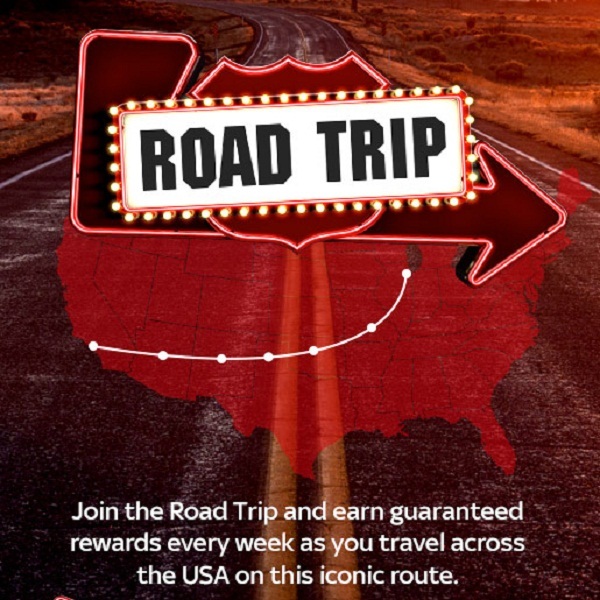 As members progress along the road trip, which passes through seven states, they will earn bonuses and large deposit offers. The promotion will pass through Illinois, Missouri, Oklahoma, Texas, New Mexico, Arizona and California with each state offering bigger and better bonuses. Furthermore, players will also be awarded tickets into a weekly draw to win £5,000. The promotion is running until 28th June and each Monday players will receive details of the bonuses offered to them. All members need to do is visit the casino and opt into the promotion so don’t delay, head over to Sky Vegas and begin your road trip today.